Aarambh a Group Satellite Initiative in Malad (East), Mumbai Andheri-Dahisar by Group Satellite is a residential project. 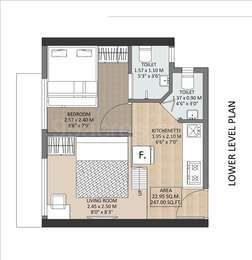 The size of the Apartment ranges in between 247.0 sq.ft.  and 503.0 sq.ft. Aarambh a Group Satellite Initiative price ranges from 46.48 Lacs to 92.01 Lacs. Aarambh a Group Satellite Initiative offers facilities such as Gymnasium and Lift. It also has amenity like Jogging track. It also offers services like Banquet hall, Community hall and Garbage disposal. This is a RERA registered project with registration number P51800015002. Bank loan approved from HDFC home loans, Punjab National Bank, Indiabulls, L & T Finance and Dewan Housing Finance Corporation Limited (DHFL). It is a new launch project with possession offered in Jan, 2022. The project is spread over a total area of 0.25 acres of land. It has 30% of open space. Aarambh a Group Satellite Initiative has a total of 8 towers. The construction is of 18 floors. An accommodation of 458 units has been provided. Aarambh a Group Satellite Initiative brochure is also available for easy reference. Where is Aarambh a Group Satellite Initiative located? The project is located in Malad (East), Mumbai Andheri-Dahisar. What are sizes of apartments in Aarambh a Group Satellite Initiative? The apartment sizes in the project range from 247.0 sqft to 503.0 sqft. What is size of 1 bhk in Aarambh a Group Satellite Initiative? The area of 1 BHK apartments is 247.0 sqft. What is the 2 bedroom size in Aarambh a Group Satellite Initiative? 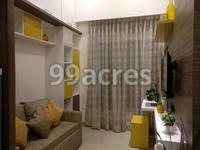 2 BHK units in the project are available in a size of 503.0 sqft. What is the area of Aarambh a Group Satellite Initiative?The total area that the project occupies is 0.25 Acres. How much is price of 1bhk in Aarambh a Group Satellite Initiative? The project offers 1 BHK units within Rs. 4648787 to Rs. 4649775.
red to assure customers that the one thing that they can do while dealing with GS is rest easy. Between our development, development management, contracting and PMC and infrastructure management arms, the Group is well-positioned to deliver a set of integrated products and services in the real estate market in Mumbai ? we believe we are the best when it comes to customer satisfaction, even at the cost of our bottom line. Between our developments at Nepean Sea Road, Worli, Andheri and the deeper Western Suburbs, GS has also shown its ability to operate across segments and sectors in Mumbai ? with extensive experience in designing, building and operating large A1 commercial complexes like Solitaire Corporate Park and Satellite Silver, and tremendous expertise in designing and building Mumbai?s most luxurious apartments at Vandan and Sesen by Group Satellite. In 2018, GS is entering the affordable homes market through its Aarambh brand by creating Mumbai?s most inexpensive first-homes designed especially for first-time home buyers. This flexibility along price brackets as well as both sides of the residential-commercial divide positions the group uniquely in terms of core competencies so that we are in a position to deliver value anywhere in Mumbai. Planning to buy a 2BHK apartment in Malad for the end-use purpose. I have decided to go for Satellite Aarambh. Please tell me current rates here. Tell me about the reputation of the builder of project Satellite Aarambh? Can you tell me the current property rates? Also, is this project registered with RERA? Dear Bhushan, this project is located in Malad (East) which is a developed area. This area is strategically located and surrounded by others developed areas such as Malad (West), Goregaon (East), Joheshwari (West) and Borivali (East). Western Expressway passes through this area and provides sound road connectivity to this area. Malad (East) is well-connected with wide roads and rail networks. Regular transport options like BEST bus service, auto-rickshaws and taxis are easily available here. Malad railway station is just 3 km from this area. There is no dearth of schools, colleges, IT parks, hospitals, Banks/ATMs and shopping malls in this area. Some of the popular ones include AVM Academy High School, ICICI Bank ATM, Warna Bakery, Mahalaxmi Medical & General Store, State Bank of India, Centrium Mall and Growel Cinema, among others. Also, the air quality index in Malad (East) is less than 50 according to an app Sameer, which is pretty good.